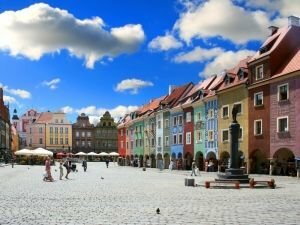 Poznań is a Polish town with a population of over 556, 000 people. It is located along the river Warta and is recognized as one of the oldest cities in the country. According to historians the city was called Poznań, as a Polish word that translates as "famous". The first written evidence of the name of the town dates from the early eleventh century. In Poznan was erected the first fort of the first King, Mieszko I, known as the first ruler of the Polish nation. Mieszko professed baptism and because of this, the influence of this architectural style is seen in Poznań’s buildings. In 1138 Poznan and its surroundings became the property of Mieszko III, the first Duke of Greater Poland. In the middle of the thirteenth century began construction of the Royal castle, on a hill situated on the left bank of the river Warta. The importance of the city gradually began to grow, because it had become a center of trade routes to Western Europe. 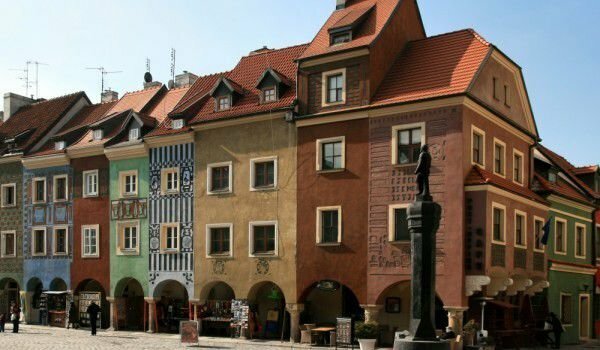 Poznan was becoming a major center for the fur trade in the late sixteenth century. Then development of the city faded from large fires and floods. During the seventeenth and eighteenth century, the city was victim of many wars and destructions caused by the Second and Third Northern War, Seven Years' War, etc. Poznań has several times been the victim of plague, which significantly reduced the number of citizens there. To revive the city, many Dutch settlers were brought in. In the late eighteenth century, Poznań became part of the province of South Prussia. The Prussian government pushed the boundaries of the city. In the great uprising of Poland in 1806, Poles help Napoleon to expel the Prussian troops in the region. In the early nineteenth century, Poznań became the capital of semi-autonomous Grand Duchy of Posen. 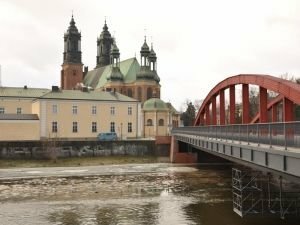 The city continues to develop in architectural and infrastructural terms, and various projects are funded by Polish philanthropists. Due to the strategic location of the city, the Prussian troops, who captured it again, began building the fortress Winiary. After the first half of the nineteenth century, began the construction of nine fortresses and nine intermediate fortifications. In the early twentieth century, the Imperial Palace was completed. At that time the city was associated with the surrounding villages. After World War 1, Poznań was under Polish control. In 1919 the University of Poznań was founded. During the occupation the Germans, Poznań is included in the Third Reich. Many Polish people were arrested and executed. About two thousand Jews were killed. In one of the fortresses was placed a concentration camp. In 1945 Poznań was free from German occupation. Today, Poznań is a modern city, host to regular fairs and international events, including the United Nations Conference on Climate Change. Poznań gathers many tourists in November, when the city celebrates the day of St. Marcin. On this day a horse parade takes place in the imperial castle. Among the tourist attractions of the city is the Old Town Square, which once was the site of the largest urban market. City Hall’s building, built in the thirteenth century, is a beautiful example of Gothic architecture. Island Tumski, which is located very close to the city is known as the place that the first Polish tribes built their fortifications. The island has a gorgeous Gothic cathedral, built in the tenth century, which was several times destroyed and again exalted. In the cathedral there are many chapels which preserve the remains of many Polish kings. The Baroque Carmelite church, built in the seventeenth century, is a shining example of Baroque architecture and is one of the most photographed buildings because of its many decorations.